 Located in the Town of Colonie, Mohawk Riverfront Apartments offers a convenient commute to businesses in Latham, Clifton Park, Troy or Albany. Maintain your active lifestyle while being close to all the Capital Region has to offer. From the South: take I-87 to exit 7 and immediately take the exit to Route 9 North. Merge onto U.S. 9 N. Continue 4 miles to 1360 New Loudon Road. From the North: take 1-87 to exit 8 toward Crescent/Vischer Ferry. Turn left onto Crescent Road/Vischer Ferry Road and continue for 1.9 miles. Turn right onto U.S. 9 S and continue for .8 miles to 1360 New Loudon Road.